Serie E: E202SA, E502SA, E402SA, E403SA, E402MA, E502MA, Eee-PC-1011CX, Eee-PC-X101CH, Eee-PC-1025C, Eee-PC-1025CE, Eee-PC-1225B, Eee-PC-1015PN, Eee-PC-1015BX, Eee-PC-1011PX, Eee-PC-T101MT, Eee-PC-1015PX, Eee-PC-1015T, Eee-PC-1016P, Eee-PC-1015P-Seashell, Eee-PC-1015PD, Eee-PC-1015PE-Seashell, Eee-PC-1015PED. Serie X: X756UX, E202SA, X541UJ, X555YI, X751SA, X550VX, X756UA, X556UJ, X556UA, X302UA, X756UX, X756UJ, X756U, X552LAVSX394H, X751LDV, X540LAXX265T, X554LAXX1801T, X554LDXX615H, X540SAXX004T, X541UVXX105T, X540LJXX001T, X751SATY101T, Asus X540LAXX265T, X455LJ, X450LAV, X450LNV, X450LN. Serie K: K501UB, K501UQ, K541UAGQ610T, K541UJGQ101T. Serie VivoBook: VivoBook Pro N752VX, VivoBook Pro N552VX, VivoBook Pro N752VX, VivoBook Pro N552VX, Vivobook E200HA, Asus VivoBook Max X541UAGQ621T, Vivobook max x541uagq621t, VivoBook X540YA, VivoBook X540YA, Vivobook X556UA, Vivobook X556UV, VivoBook Max X541SA, VivoBook E402NA, E502MA, VivoBook Max X541UV, Vivobook X556UQ, VivoBook Max X541UA, VivoBook Pro N552VW, Vivobook E200HA, X455LA, X456UA, X555DG. 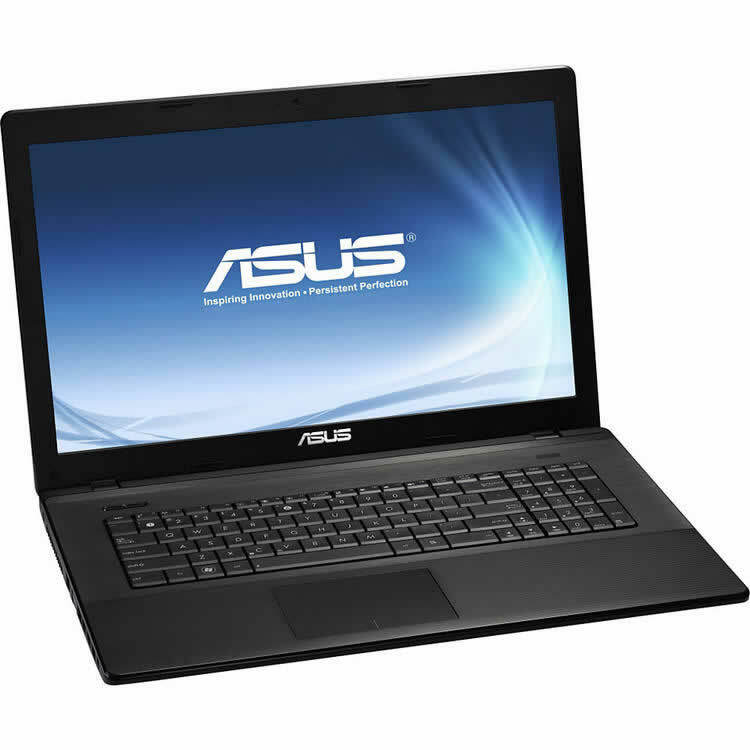 Serie VivoBook S Series: ASUS VivoBook S15 S510UQ, ASUS VivoBook S15 S510UA, ASUS VivoBook S15 S510UR. Serie ZenBook: ZenBook 3 Deluxe UX490UA, ZenBook UX530UX, ZenBook UX410UA, ZenBook UX430UA, ZenBook Flip UX560UQ, ZenBook Flip UX560UA, ZenBook Flip UX360CA, ZenBook UX330UA, ZenBook 3 UX390UA, ZenBook UX310UA, ZenBook Flip UX560UX, ZenBook Flip UX360UA, ZenBook Pro UX501VW, ZenBook Pro UX501JW, ZenBook UX303LB, ZenBook UX305UA, ZenBook UX360UA. ASUS Serie ROG: ROG GL553VE, ROG GL502VM, ROG GL502VS, ROG GL702VM, ROG GL552VX (7th Gen Intel Core), ROG GL553VD, ROG G701VI (7th Gen Intel Core), ROG GL753VD, ROG G752VS, ROG G752VM, ROG G752VL, ROG GL752VL, ROG GL552VX, ROG GX700VO, ROG GL752VW, ROG GL552VW. Serie Chromebook: Asus Chromebook Flip C302CA, Asus Chromebook Flip C100PA, Asus Chromebook C200, Asus Chromebook C300SA, Asus Chromebook C201, Asus Chromebook C202SA, Asus Chromebook C300. Serie ASUSPRO: ASUSPRO P2440UA, ASUSPRO B9440UA, ASUSPRO P5430UF, ASUSPRO B8430UA, ASUSPRO P2430UA, ASUSPRO P2440UQ, ASUSPRO P2540UA, ASUSPRO B8230UA, ASUSPRO P2530UA, ASUSPRO P2430UJ, ASUSPRO P4540UQ, ASUSPRO P2540UV, ASUSPRO P5430UA, ASUSPRO P2530UJ. Sobremesa: Serie VivoPc: K31Am-J, VivoPc K31CLG, VivoPc M32CD, K31AN, K31DA, VivoPc K31CD, VivoPc K20CD, M52CD, M12AD, M32AD. Serie Gaming: G11CD. Serie ROG: ROG GT51CH, ROG GT51CA, ROG G210BM, ROG G20AJ, ROG TYTAN G50AB.